Freshwater species worldwide are experiencing dramatic declines partly attributable to ongoing climate change. It is expected that the future effects of climate change could be particularly severe in mediterranean climate (med-) regions, which host many endemic species already under great stress from the high level of human development. In this article, we review the climate and climate-induced changes in streams of med-regions and the responses of stream biota, focusing on both observed and anticipated ecological responses. We also discuss current knowledge gaps and conservation challenges. Expected climate alterations have already been observed in the last decades, and include: increased annual average air temperatures; decreased annual average precipitation; hydrologic alterations; and an increase in frequency, intensity and duration of extreme events, such as floods, droughts and fires. Recent observations, which are concordant with forecasts built, show stream biota of med-regions when facing climate changes tend to be displaced towards higher elevations and upper latitudes, communities tend to change their composition and homogenize, while some life-history traits seem to provide biota with resilience and resistance to adapt to the new conditions (as being short-lived, small, and resistant to low streamflow and desiccation). Nevertheless, such responses may be insufficient to cope with current and future environmental changes. Accurate forecasts of biotic changes and possible adaptations are difficult to obtain in med-regions mainly because of the difficulty of distinguishing disturbances due to natural variability from the effects of climate change, particularly regarding hydrology. Long-term studies are needed to disentangle such variability and improve knowledge regarding the ecological responses and the detection of early warning signals to climate change. Investments should focus on taxa beyond fish and macroinvertebrates, and in covering the less studied regions of Chile and South Africa. Scientists, policy makers and water managers must be involved in the climate change dialogue because the freshwater conservation concerns are huge. Current research was supported by the BioFresh EU project- Biodiversity of Freshwater Ecosystems: Status, Trends, Pressures and Conservation Priorities (7th FWP contract No 226874) and the United States National Science Foundation (NSF) Engineering Research Center (ERC) for Re-inventing the Nation’s Urban Water Infrastructure (ReNUWIt). The authors thank the anonymous reviewers for comments that truly helped in improving this manuscript. Behrens, A., J. N. Ferrer & C. Egenhofer, 2008. Financial Impacts of Climate Change: Implications for the EU Budget. Centre for European Policy Studies, CEPS Working Document No. 300. [available on internet at http://www.ceps.eu]. CSIRO, Australian Bureau of Meteorology, 2007. Climate Change in Australia: Technical Report. CSIRO and the Bureau of Meteorology, Australia. [available on internet at http://climatechangeinaustralia.com.au]. Department of the Interior, 2011. Climate change adaptation. 2011 Budget of the United States of America. [available on internet at http://www.doi.gov/budget/2011/11Hilites/toc.html]. Tierno de Figueroa, J. M., M. J. López-Rodríguez, S. Fenoglio, P. Sánchez-Castillo & R. Fochetti, 2012. 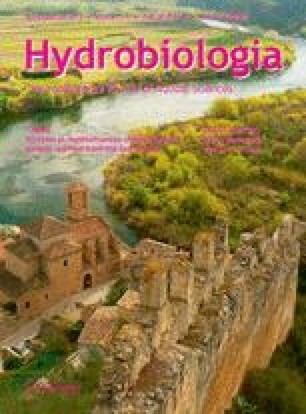 Freshwater biodiversity in the rivers of the Mediterranean Basin. Hydrobiologia. doi: 10.1007/s10750-012-1281z.